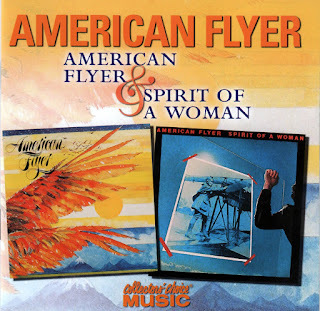 American Flyer has long been a favorite of singer/songwriter, L.A. country-rock, and '70s soft rock aficionados, partially because of the group's supergroup status, but chiefly because the music they made was very, very good. That pedigree was indeed impressive, with the four members consisting of former Pure Prairie League member Craig Fuller, Eric Kaz of the Blues Magoos, Doug Yule of the Velvet Underground, and Steve Katz, formerly of Blood, Sweat & Tears -- maybe not Crosby, Stills, Nash & Young in terms of marquee name recognition, but surely a collection of gifted and respected singer/songwriters who complemented each other nicely. While they had some modest success with their George Martin-produced 1976 eponymous debut, they had a difficult time breaking into a larger audience, even though their music fit neatly into the L.A. soft rock scene, equal parts country-rock and tuneful popcraft. While American Flyer didn't storm up the charts, it was a promising start, but unfortunately its self-produced (with Ken Friesen) 1977 follow-up, Spirit of a Woman, made even less of an impact, and the bandmembers went their separate ways afterward (Fuller & Kaz cut an impressive album the next year for Columbia). Although they didn't make much of an impression at the time, the two albums, particularly the debut, continued to be favorites of record collectors and singer/songwriter fans, and as time passed, their lack of success seemed all the more bewildering, since as the albums aged, it became clear that the music more than held its own with the more successful Californian soft rock of the time. 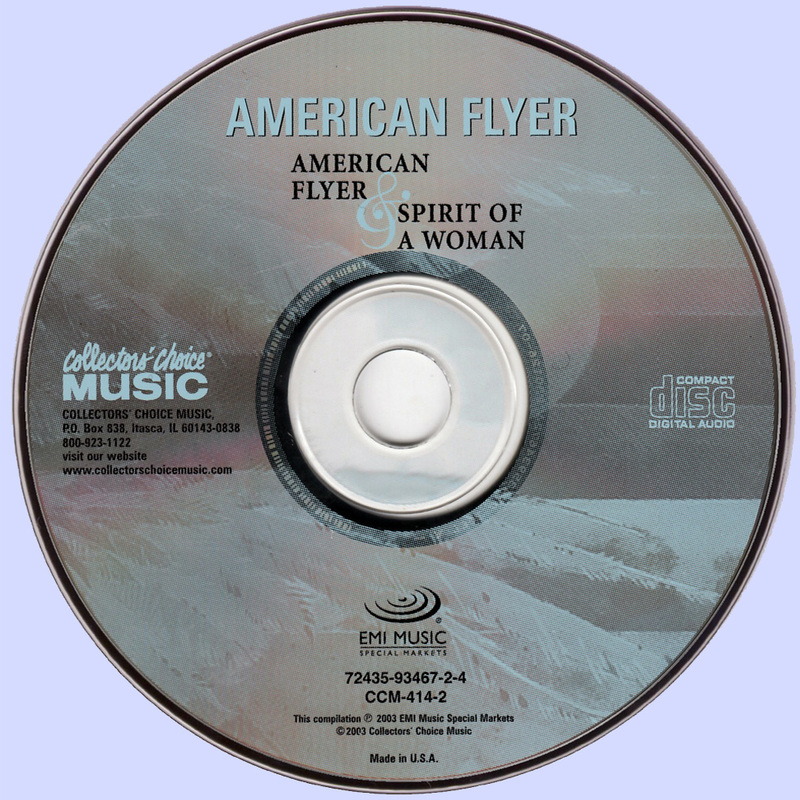 Song for song, each of the records is stronger than any Eagles album, and as lushly melodic as the best America songs, while being more consistent than those groups' albums as well. And if their rocking side is subdued on both albums -- something that Yule mentions in Richie Unterberger's liner notes, along with his dissatisfaction with Martin's lush production, which may not have quite jibed with the band's vision, but did result in a classic L.A. soft rock production all the same -- they had the musical facility and songwriting strengths to compensate for this perceived weakness. American Flyer had many other strengths, particularly in how all four members had songs so melodic that the sweetness camouflaged the sturdiness of the writing, which is uniformly excellent. If the first album is cloaked in George Martin's lush arrangements, reminiscent of his work with America but not as heavy-handed, the second is a little studio-pro slick, whether it's on the gilded ballads or hints of easy boogie, but it's very appealing all the same. The two sounds complement each other; they're two sides of the same soft rock coin on this superb CD from Collectors' Choice that pairs both albums on one disc. For too long, these albums have been hard to find, so fans of country-rock and soft rock only had to rely on their reputation. This two-fer reveals that their reputation is well-earned, and that American Flyer, despite their lack of success, made some of the best music in their style during the late '70s. As a follow-up, Collectors' Choice should reissue the 1978 Fuller & Kaz album, which is the equal in every way to these two excellent records.